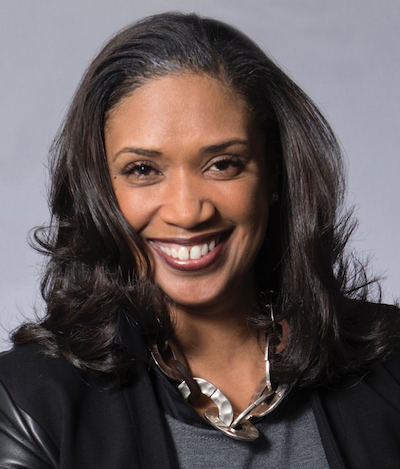 When pop music royalty Beyoncé Knowles stepped onto Ford Field and announced to 40,000 fans that she was grateful to Detroit for creating "such incredible music," the Motown Museum Chairwoman and CEO Robin R. Terry knew her private tour of the museum earlier that day had really paid off. "Me and my family visited the Motown Museum," Knowles explained to the crowd at her most recent Detroit concert. "I wouldn't be here if it wasn't for all of the sacrifice, the brain power, and the magic, and the talent from Berry Gordy, Diana Ross, Marvin Gaye, Stevie Wonder, Smokey Robinson—all of the legends that paved the way for me to be on the stage today." Showing Knowles, her husband and rapper Jay-Z, and daughter Blue Ivy around the iconic museum was indeed a highlight for Terry, who is currently heading up the plans for a $50 million expansion of the site on West Grand Boulevard. The expansion marks a revival of, and renewed public interest in, the Motown sound. The current museum, Hitsville U.S.A., housed in the cramped quarters of the original recording studio, will be expanded to a 50,000-square-feet space. The new designs will be built around the current museum, and include interactive exhibits, a performance theater, recording studios, and meeting spaces. Terry says families will be able to sing, dance, and create music. "It will be a music lovers playground," she says. Artistic renderings of the designs show rooftop spaces, better pedestrian access, and new entrance behind the current buildings. "Our goal is to bring an expanded Motown Museum to the world," says Terry, who is Gordy's niece, "to inspire dreams and serve as an educational resource for global and local communities, while creating an international mecca of music and entertainment history." Focusing on the record label founded by Gordy in 1959, Tamla Motown, the museum pays homage to the songs that changed America and the world. Great names like Diana Ross and The Supremes, Smokey Robinson and the Miracles, Marvin Gaye, Martha Reeves, the Four Tops, and the Temptations all graced the recording studio. The Hitsville house became something of a music factory, with Gordy purchasing neighboring houses and staff to provide deportment and press training for rising stars. Gordy's company, the first black-owned record company in the U.S., released 180 number one hit songs worldwide. "The music of Motown and the business brilliance and entrepreneurial efficacy born from the Gordy family, and other Motown artists, has helped to shape the city of Detroit," says Terry, "and continues to inspire generations today." Harnessing a wider audience is part of the drive behind the expansion. Terry and her team want to see it become a leading cultural institution and an even greater international tourist destination. Supporting larger crowds has been one of the elements holding the museum back. "One of the main challenges is how you physically maintain what is essentially a precious artifact with 75,000 people passing through it every year," explains Terry. "The expansion will allow us to better accommodate fans from all over the world in a fun and engaging experience for many years to come." Funds for the project have largely come through donations from major foundations: a $6 million grant from Ford Motor Co. and UAW-Ford, a $2 million grant from the William Davidson Foundation, a $1 million grant from the Erb Family Foundation, and a $500,000 grant from the Hudson-Webber Foundation. 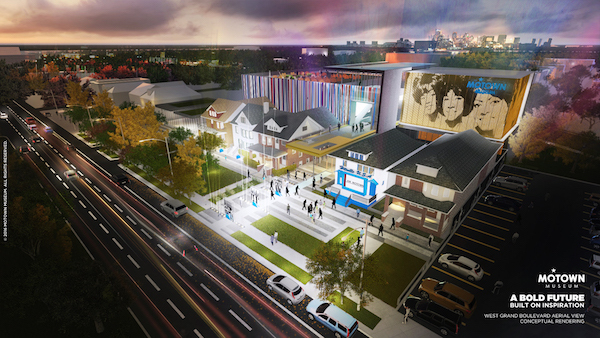 "Since we first announced the Motown Museum expansion plans, we have connected with a number of like-minded organizations who have supported our mission," says Terry. "We have had a growing response from the foundation community." Given the surge of contemporary artists drawing from its sound, growing support for the preservation of Motown music is not surprising. The recent popularity of singers such as Leon Bridges, Aloe Blacc, Liam Bailey, and Curtis Harding indicate the Motown style that took the world by storm is seeing a renewal on the top charts. Adding to the music era's popularity boost is the coming "Motown the Musical," a Broadway tribute to Gordy and his family. Currently touring the U.S., the show follows Gordy's journey from humble beginnings to music mogul, and is a dazzling reminder of how much was accomplished at the little two-story studio. Trenyce Cobbins, who plays Diana Ross in the musical, says she's excited to perform in Detroit, and that the show reminds us all of what's missing from the music world today. "The music industry is certainly in need of a Motown comeback," says Cobbins. "And by that I mean every element: grooming the artist, media training, the artistic collaboration between producers, musicians and artists, the live instrumentation, the lyrical content—all of it." Beyond preservation and educating the public about the Motown sound, Terry believes that the museum can stimulate regional enrichment and economic growth. She estimates a temporary workforce of 200 employees during the construction phase, and more than 50 full-time jobs to be generated when the new complex opens. "When completed, the new museum campus will have a transformative impact on the surrounding Detroit neighborhoods," Terry explains. "The plan is to strengthen and reinvigorate the Northwest Goldberg neighborhood." At a time when race-relations in America are strained, the museum will also serve as an educational platform. Terry stresses the importance of educating both local communities and visitors about the contributions African-Americans have made to the world. "This incredible facility right here, in our beloved city, where Motown was born, will allow the museum to continue to narrate and celebrate on a much larger scale everything the Motown legacy is recognized for."